Home / Blog / Advice & Travel Tips / What is the Finisterrana? 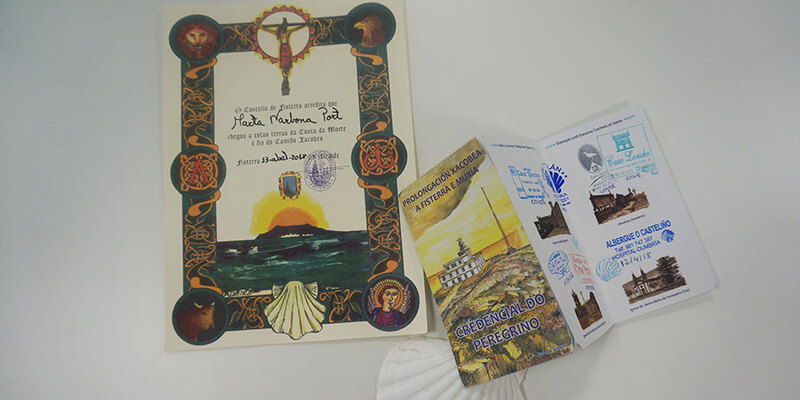 Many of you will be familiar with the ‘Compostela’, the pilgrim certificate you can obtain from the Pilgrims Office in Santiago de Compostela if you have walked a minimum of 100kms of the Camino to the city or cycled at least the last 200kms. 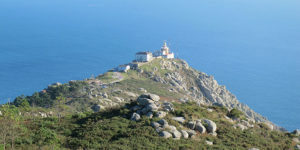 The same way you can request your Compostela certificate when you finish your Camino de Santiago you will also be able to request other Camino pilgrim certificates if you decide to follow or continue walking or cycling to the towns of Fisterra and Muxía, along the Camino de Fisterra. 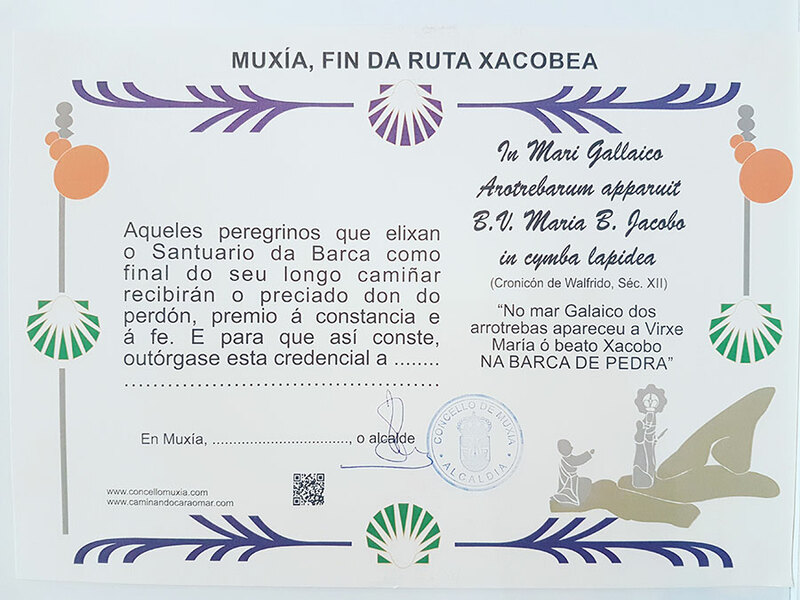 Each town, both Fisterra and Muxía, has its own pilgrim certificate. 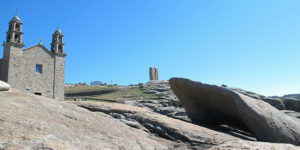 If you walk to Fisterra, you can request the ‘Fisterrá’ or ‘Finisterrana’ certificate from the local pilgrim hostel, and if you walk to Muxía, you can request the ‘Muxiana’ certificate from the Casa da Cultura (local Arts Hall). These certificates are written in Galician and signed by the town mayor. Make sure you get your pilgrim passport stamped along the way! Dear Maria, thank you for getting in touch, we have a few routes in our ‘easy walking’ collection, see here: https://caminoways.com/travelcollections/easywalking. They are self-guided tours designed to cover less distance per day so they are more manageable (on average 8-10 miles per day). Have a look and let us know if you’d need any assistance, our team is always happy to help. Kind regards. Hi Silvia, yes you will be able to collect your pilgrim certificate in Muxia. Please see here – https://caminoways.com/what-is-the-finisterrana Our travel team should be able to advise you if you reach out to them at info@caminoways.com Good luck on your journey. Buen Camino! I am doing walk only from Santiago to Muxia. Can I still obtain camino certificate? How long does this section of Camino take? Hi Myrna, thank you for your question. Yes, you will be able to collect your pilgrim certificate when you reach Santiago de Compostela. You need to walk over 100kms to be eligible for your certificate and collect at least two stamps per day along the route. Kind regards, Lisa. Please advise if I will be able to get a Camino certificate if I walk the Portuguese section between Porto and St. James. Hi Wayne, the best thing might be to contact the Tourist Office in Fisterra and check with them if it would be possible to request your Finisterrana from Ireland, their email is turismofisterra@hotmail.com, let us know how you get on. We’ll email them as well to get some information. I hope this helps!